Some ladies are blessed with fast growing, thick, strong hair… And then there are the rest of us! Here are some basic, tried and true tips to help you grow your most beautiful, healthy hair, as fast as possible! 1. When washing your hair…massage your scalp! Healthy hair starts with the health of your scalp. With a simple massage over your scalp with the tips of your fingers, you will stimulate circulation and deep clean follicles. This step will aid in speedy hair growth and overall hair health. 2. Choose the right shampoo and conditioner for your hair and scalp type! Finding the right product will make all the difference, and of course shop natural/organic! 3. Massage the scalp with oil, pre wash. Coconut oil, peppermint oil and Rosemary oil to name a few; work wonders to stimulate healthy hair growth and nourish existing hair! 4. Color, Perm, Straighten, Curl etc less often or not at all. These chemical processes and heat, damage the hair more than is eluded. If you strive for long beautiful hair, work with what you have and leave the tinkering alone. 5. Brush your hair frequently, to distribute natural oils and stimulate scalp circulation. 6. Use a good leave in product for the ends of your hair! Argan oil is a great basic oil that is wonderful for hair and skin! 7. Eat more Salmon, Nuts, Yams and lean proteins. All these foods contain essential nutrients that hair loves! 8. Over all health will show in your skin and hair. Avoid extra stress, get 8hrs of sleep a night and exercise regularly. 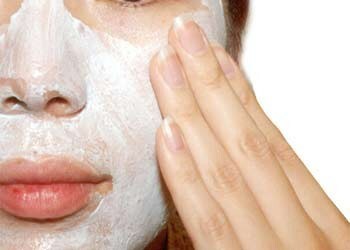 Now a days exfoliation is the number one recommendation for clear, young, healthy looking skin. Almost every skincare brand contains multiple versions of exfoliators, including granular exfoliators, exfoliating peels, exfoliating sponges, brushes and gloves. Not to mention the use of toners with cotton pads, cleansing with cloths, products with AHA (Alpha Hydroxy Acids), BHA (Beta Hydroxy Acids), Vitamin A etc. which all exfoliate our skin. So the question is, does exfoliation work to better our complexion and if so, when is it too much? A healthy skin renews (exfoliates) itself approximately every 28 days, as our skin ages this number, depending on the person, will be significantly higher. Therefore we will start to notice a dull, lackluster skin. That’s why (unless you are 10 yrs old) I believe that exfoliation is a necessary step in achieving and maintaining a healthy complexion. I do not agree however, with the excessive amount of exfoliation that most skincare companies or people claim is recommended or needed to achieve beautiful skin. I also do not agree with many of the exfoliation methods being recommended. 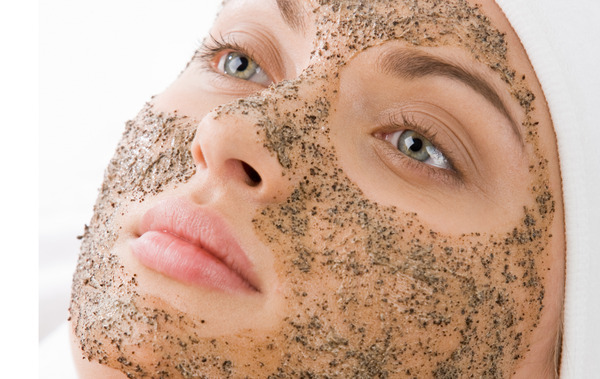 Exfoliation takes away dead skin and allows faster cell growth, to reveal smoother, softer skin. When a person exfoliates too much, the skin does not have the opportunity to repair itself, it also irritates the skin (whether obvious or not) and causes a major imbalance to the skins natural rhythm. Our bodies, skin included, are made to work within a rhythm, skin begins over producing oils to compensate from over exfoliation, and eventually becomes lazy and relies on exfoliation to become smooth and glowing. You can logically understand that by over exfoliation, we are thinning the skin, which in turn does the opposite of what we want, making the skin fragile, sensitive, dehydrated and oily, blotchy, wrinkled, and just all around NOT good. I have seen this numerous times in my career, many women coming to me with all these symptoms, and the main reason is OVER EXFOLIATION. My belief and recommendation for exfoliation is as follows, normal/dry/combination/sensitive skin, once a week MAX. You could even go for once every 2 weeks, depending on the skin and it’s condition. For Combination/Oily/Acne prone skin, twice a week MAJOR MAX. But ideally once a week. This can include manual exfoliation, peel, or cleansing brush, cloth or sponge. If you are using a face wash, toner, moisturizer or serum containing an AHA, BHA, Retinol or any other kind of exfoliating ingredient, I do not recommend additional exfoliation. Please remember that if you feel that you need to exfoliate more, use your toner on a cotton pad, the gentle motion over the skin is enough. For many over-exfoliators this recommendation may seem ridiculous, at first you skin may feel bumpy, dull, dirty etc. Give it 2-3 months and notice the overall improvement in your skin, less need for exfoliation, and more even, smooth, hydrated and balanced skin. Please avoid chemical peels, harsh microdermabrasions, look up fail pics of these treatments, and then you will know why. Of course, only use natural/ organic exfoliators, including peels. Remember to be gentle when exfoliating, you are not sanding wood. Stay tuned for several different reviews on my fave exfoliators!!! Click here to follow Bailey Blush and receive lovely natural beauty reviews, news and tips to your email! Can’t live without… Jane Iredale Eye Gloss!